The VOID NOIZE is excited to be bringing the Russian 3-piece band, Motorama to Hong Kong on 22 September 2017 (Friday) at MOM Live House. One should not miss this opportunity to watch the three musicians for their first time ever performing in Asia, to witness how they impress the Hong Kong audience after huge success with both audiences and critics both in France and abroad. 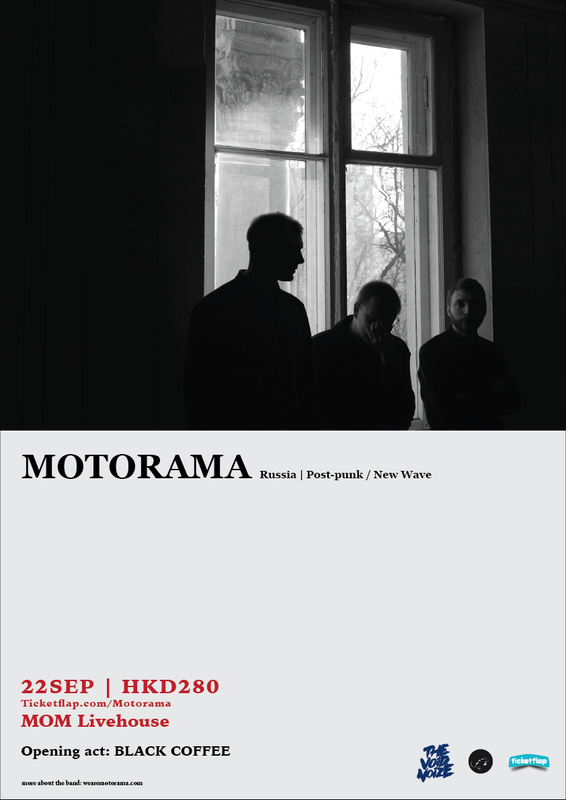 Motorama are a Russian band of three musicians from Rostov-on-Don, a port city with a population of over a million. 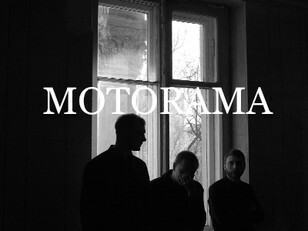 Formed in 2015, Motorama self-produced their records for many years before the quintet got noticed and signed by the French label Talitres in 2012. Their latest full length album Dialogues was released in October 2016. The 3-piece has been touring throughout Russia in all its vastness, repeatedly in continental Europe, as well as going to South America. A guitar, a bass, a drum set, that's all they need. Just like their band name – BlackCoffee, nothing to disguise, just the simplest taste. All about the youth. Small spaces, simple gears, tattered music instruments; based in a small warehousewith only 60 feet, Black Coffee developed their Garage Rock music with theirdissipated sound. The VOID NOIZE has been hosting independent music party ever since its establishment in 2015. Besides gathering local acts for different series of musical festivals and events, the organizer has been presenting overseas indie-band to perform in Hong Kong including Future (France), I Am Waiting For You Last Summer (Russia), CHKBNS (Russia), DJ Mykal (Taiwan), etc.